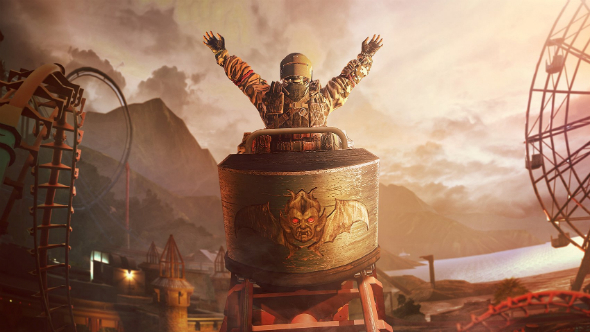 Like a determined player stealing victory from the enemy in a 1v5 clutch, Rainbow Six Siege has overcome seemingly insurmountable odds to come out on top. 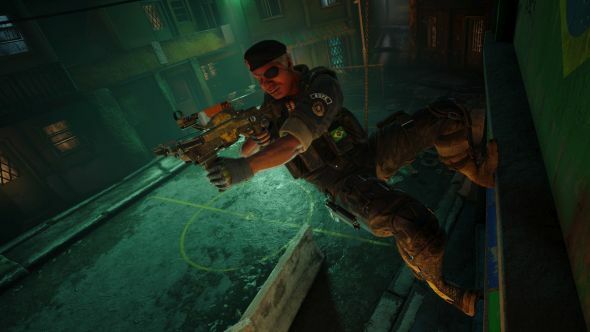 Ubisoft Montreal’s commendably skewed take on the online shooter genre emerged in December 2015 to a wave of underwhelming reviews. The netcode was fuzzy, the package of three main modes and 20 operators felt sparse, and there were some worrying balancing issues throughout. 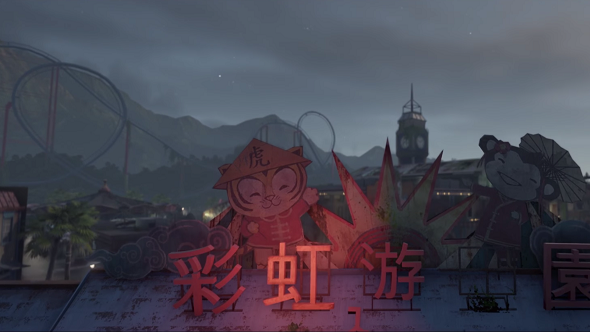 A year after launch, the game had become an entirely different proposition – the complex interplay of its expanding lineup of operators making for a deeply satisfying competitive shooter. 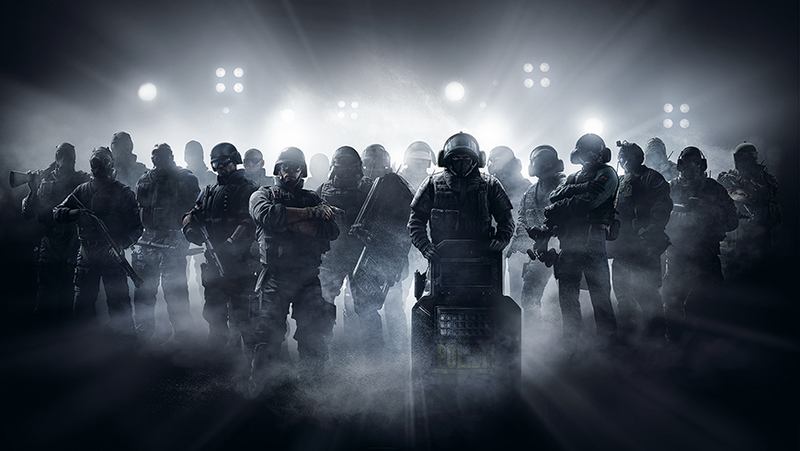 Now, just over halfway through its second season of free DLC, Rainbow Six Siege has arguably established itself as the greatest online team shooter available today (which might explain why we get more headshots than vitamin D during our lunch breaks). 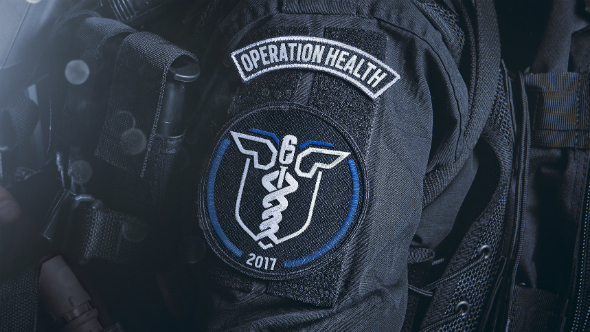 Ahead of Blood Orchid’s release at the end of the month, we spoke to Rainbow Six Siege brand director Alexandre Remy – who we most recently spoke to back in May – about Operation Health’s progress, dealing with player toxicity, and the game’s remarkable journey to date. Want to have a shot at beating us in a Siege match? Only joking, you’ve got no chance! But here’s our list of the best operators to pick anyway. PCGamesN: What’s left to do in Operation Health? Alexandre Remy: There are two big components to this: the first revolves around improving the online architecture of the game. We deployed one of the biggest elements of that – one-step matchmaking – in the first month. That’s been live for the past six weeks. 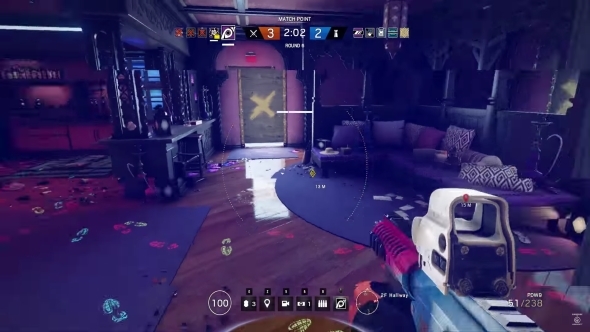 The second part of Operation Health, when it comes to online architecture, was removing, one by one, all the remaining peer-to-peer elements that were in the game – such as the party system and voice chat. We’re on track to remove all peer-to-peer elements by the end of Operation Health. And I’m relatively confident that both of these main aspects that we’re targeting to improve the overall online infrastructure and netcode are going to be done for the end of Operation Health. So it’s ticking along smoothly? I think there has been some miscommunication on our side. A lot of those improvements are coming at the very end of the season, but many people were expecting them to be at the beginning. Unfortunately, I think the blame really lies with us there. We need to be better at explaining. That being said, when working on those aspects – especially on a live game – it’s hard to commit to very precise dates and deadlines. So we were deliberately a little vague. However, looking at everything that is going to be shipped at the end of the operation, I think it’s a tremendous achievement. There are so many things coming for the start of Season 3 that are also going to have a big push on health, too. It’s a hugeseason. Overall, I’m very pleased. 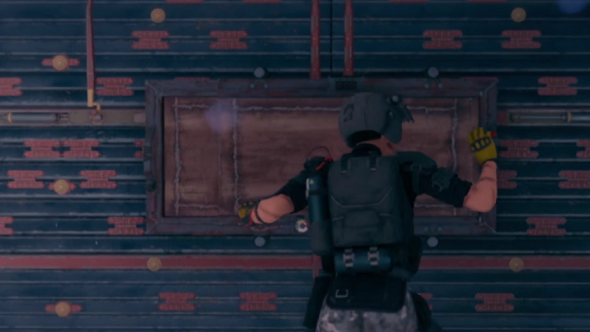 On the topic of Season 3, were you frustrated by the Blood Orchid leaks? 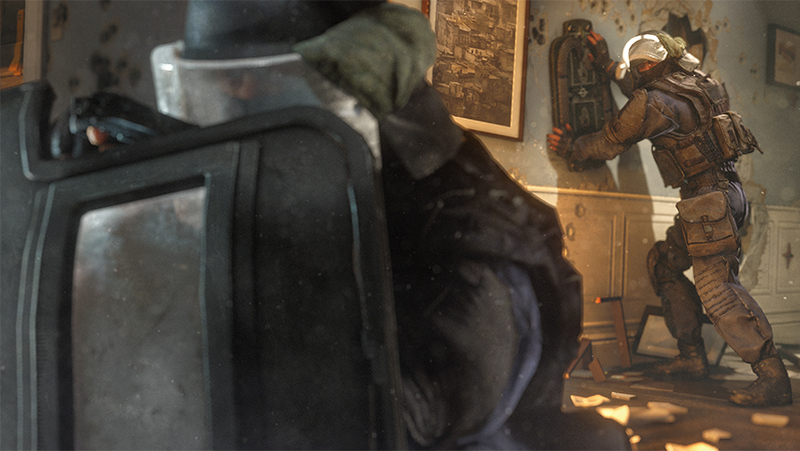 I’ll be very transparent with you: in the case of Rainbow Six, there has been some sort of a leak in every season. When it’s a live game with a testing phase – like our private betas where we test the seasonal content with about 200 selected and paid playtesters online – it is very common that there are some leaks, even though we put watermarks on the pictures and track everything that we can. But I’d say it’s sort of part of the life cycle. We’re getting used to it! And what we’ve experienced so far is that, even though there have been some leaks, the community starts to get excited. And I haven’t seen too much of a negative effect from that when they get to see the full reveal afterwards and play the game. Are you flattered when you see your community so hungry for information? All the time. One of the best parts of that is if you look into some of the contributions from community members on Reddit and forums, you see players building propositions for new operators or features from scratch. One of the things that really amazes me is how [well] they’ve understood the overall design mechanics and direction of the game . We’ve seen tremendous ideas from different teams, countries, and people. One suggestion from Reddit was an operator who can deploy a fake wall that can block a corridor. Obviously there are good and bad aspects to that idea, but I think it really showcases how engaged the community is with the game, and willing to see it grow more and more. Are you finding that console players tend to graduate to the PC version? It’s a big adjustment. It’s one of the aspects that I’m most interested in these days. We’ve seen a transition, mainly from the competitive players, from console to PC – the main reason being that last year we stopped supporting Xbox in the Pro League in order to focus all our efforts on PC. Back in February, most of the pro players and councils were very disappointed and felt that they were left behind, but we’ve observed over the first six months of competition in Year 2, that most of the pro teams on Xbox have switched to PC with the same players. What’s fascinating is that we see Team Elevate, for example, in America, who won the Six Invitational last year, consistently ranking in the top teams on PC this year. So they’ve managed to do that transition. And what’s fascinating to me is that, usually, the skill required to move from console to PC is very large. But on Rainbow Six, a lot of that skill is in knowing the maps, about positioning, team composition… it’s brain skill and not purely twitch skill. So there’s that tactical aspect, and it’s something you carry over regardless of the platform. So I think it’s a very positive aspect of the game. You’ve been particularly bold when it comes to disrupting the meta. Are you enjoying pulling the welcome mat out from under people’s feet each season? Yep! I think there are two aspects to that answer. To us, the game is already extremely deep, and sometimes complex, in terms of the set of mechanics and elements that you need to master in order to fully appreciate R6. There’s destruction, obviously, it’s a one-life game, and then there are the operators. That’s so many elements and possibilities that you need to appreciate. That’s one of the reasons that we have so few game modes, and don’t plan on adding any new ones in the near future. The idea being that the only game mode is Siege. What you experience – one life, 5v5, attack and defend – that’s the main bulk. The diversity, the meaningful choices that players can make, that’s all about team composition and operators. So when you take that into consideration, you haveto disrupt the meta, and the frequency we’ve chosen is every three months. You have to add new elements that are not purely reinforcing what players already know and play. You have to change their habits, and create surprises that force them to expand their learning beyond their comfort zone. This is really absolutely key for any game that wants to have a big and deep meta. As a long-term objective, we want to reach 100 operators, and that gives you an idea of the vast horizon that we’re looking at. We knew, six months ago in February, before the beginning of season one of this year, that roamers were particularly strong. We needed to have counter tactics and gameplay elements, which is why we introduced Jackal and Mira and did all those potential nerfs and changes on some of the operators. The game is young, but the meta as a whole will always change. That’s one of our main objectives: to disrupt and put players out of their comfort zone. But it’s also a way for us to adjust parts of the meta that aren’t as strong or as balanced as we initially thought. The complexity you mention tends to flummox some players who struggle to understand Siege’s unique rhythm. What’s your take on that? As a dev team, you can imagine that we’re looking closely at the game all the time. We know there are some parts where we have to put some attention and focus, and that’s really the ambition for the coming years. One of those areas is about onboarding new players, and how to teach them the main mechanics and elements of the game. We absolutely feel that there are some aspects lacking when it comes to introducing new players to the game, and ensuring that they understand the first steps and how the game plays. It’s different from the other shooters, even though it looks similar to them. Creating [better] training is absolutely necessary for us to make sure that new, as well as more seasoned players, see the right behaviour in-game. A particularly frustrating aspect of that is impatient players attempting to vote out a surviving player so they can get to the next round more quickly, or executing teammates at the beginning of a match for perceived crimes against whatever they consider the right way to play. Specifically on team killing, that’s an issue of toxicity, and its management [therein]. We have a problem with team killing, and with people who leave before the end of the match. Those are the two main issues we have today in terms of toxic behaviour that we’d love to fix in the future. We have a couple of ideas and designs on paper about this, but it’s not something that you’ll see in the very near future. Rest assured, though, that we are extremely aware of this issue, and will deploy a solution when the time is right. What about more reporting tools? We know that we lack some proper tools and processes in the game when it comes to fighting against that toxicity. There are some very easy solutions, but they would drastically change the gameplay. Those are things that we have discussed a lot, and are still discussing. We could do a quick fix that is potentially the wrong solution to a good question, or we can take more time and invest in the proper solution. It’s going to be a longer process, because usually the proper solution is more complex. Right? You agree. All of a sudden it changes the DNA of the game. Do we want this? I think overall we don’t. A report button is another answer, and the option to vote kick people, but then comes the question of what punishment we give that person? Are we putting them in a special queue with people who behave badly? Do we ban them for X amount of time? And that loop of bad behaviour, reporting, and punishment, how does it all work? It makes the apparently simple question of ‘how do we deal with team killers’ relatively complex. On a brighter note, your decision to avoid fragmenting the player base with paid-for DLC has been an unquestionable success. Looking back on how that’s gone, how do you feel about it? I think, overall, I’m happy to see that a lot of the big players in the industry are switching to a model that is similar to ours. We weren’t the first studio to do this, but you must notsegment your community post-launch – that’s the worst case scenario. I believe, if I’m not mistaken, EA have talked about this. I’m not sure about Activision but I think that’s also the case, which makes a lot of sense. The moment you have games that you intend to build a community and player base around, and have longevity, that’s a basic principle that you absolutely need to apply. Because otherwise it’s sort of like condemning your game to obsolescence or, almost, death. There are games and genres that, depending on your strategy as a publisher, it can absolutely make sense. But in the case of multiplayer games that you intend to iterate upon and keep in the market for a long time, then, to us at least on Rainbow and at Ubisoft, zero player segmentation should be an absolute golden rule. Being in this moment, right now, feels so good. Reading the follow-up articles after the game had been through a couple of updates, the change of mood and opinion from the specialist media and the community, is the best feeling you can have. We were a bit scared when we launched. We knew it was going to be rocky. We knew some elements of the game weren’t at the level of quality that we needed. And I believe that, at the time, we absolutely deserved the reviews that we got. Matchmaking was clearly not as operational as it is today, and it’s still not yet to the level that we want. Some other aspects were rough and even sometimes raw. Now, a year and a half later, we’re seeing a player base that is exceeding 20 million uniques, and we have around 2.4 million people playing the game every day. And that has been growing month after month, season after season. The message that we’re receiving from this cold data is that it’s a trend that goes upward. And from ‘hot data’, if there is such a thing, such as the things that people are saying and writing… we’re getting so much appreciation for the changes that we made, and we’re extremely grateful, and feel extremely lucky. With that feedback, it’s now extremely easy for us to look not only one year, but two or three years down the road and say, ‘Hey, we know what the game is. We know what our players and community are expecting from us. And we know that the game is in such a solid position that we can plan ahead for a very long time’. That gives us a sense of serenity – even though there are so many daily tasks to tackle! The feeling we get from what people have been writing in magazines, on websites, and in forums… It’s a pure love, that we get every day.